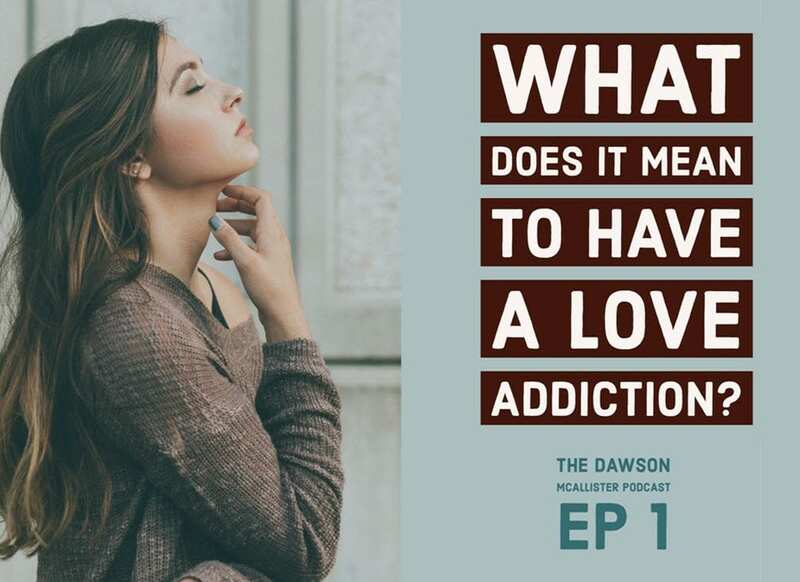 What Does It Mean to Have a Love Addiction? “So, Dawson, what does it mean to be a love addict?” I’m glad you asked. A love addict is someone who seeks to maintain a relationship, no matter how unhealthy or one-sided it may be, in the hope of receiving love and acceptance. A love addict almost always has deep emotional hurts somewhere in their past – wounds of which they may be unaware. They believe, often subconsciously, that only a consuming relationship can heal that hurt. Did Today’s Episode Get You Thinking? Perhaps you saw yourself or a friend of yours in the story we just listened to. Maybe you’re realizing for the first time that you need to take some steps to get healthy. Would you consider doing something for me? If you liked this episode and think someone else might too, please share it on Facebook and Twitter. My podcast, our website, everything we do is entirely listener supported. If you’d like to help us to continue our work, please make a gift right now at our Give Now page. Next Week’s Podcast is on Father Hunger. See you next week and whatever you do, Never Lose Hope! What do you do when Love addiction has led to marriage and you don’t want your daughter to walk in your horrible foot steps? Thank you for your comment on Dawson’s Podcast! Love addiction can be powerful and your desire to be an example to your daughter is commendable. Perhaps signing up for an email mentor would help your struggle. It would be a woman that you can email back and forth with about what is going on in your life. To sign up go to https://www.thehopeline.com/emailmentors. This is all? 15 minutes? One call? No more calling in? No hope coaches? No peer to peer? No co host? This feels lonely and sad to me in comparison to the radio show. This may help a lot of ppl and be good for many. I don’t want to bash this and be negative. I just personally don’t like the new format as much. Maybe Dawson needed more free time. I wish him the best. I will miss the old show. And this may improve. I will look at future podcasts to see where this goes. Thank you for your feedback on Dawson’s first podcast. Feedback is important to him as he develops this new venture in his ministry. Episode 2 has been launched if you want to listen. Best wishes to you, as well, and we sincerely hope you continue to listen. Dawson is such an amazing person who wants to use his knowledge and help others. Even though it is for younger people. I still can relate to what he says. I am glad that he is having podcasts as I didn’t catch him every Saturday night. I appreciate all you do for us Dawson. Thank you always!!! Thank you, KeKe! We’ll be sure to pass along your message of encouragement to Dawson!